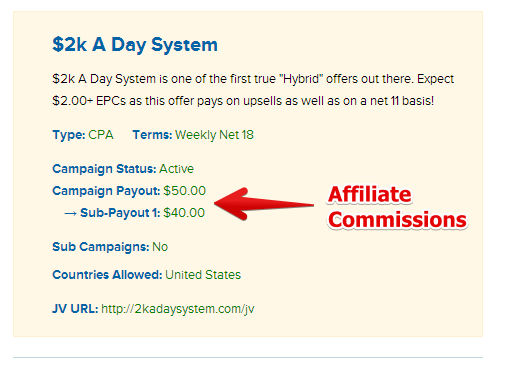 The $2k A Day system promises you something really special. Would you like to earn $2,000 a day, without having to do any selling, inventory work, picking up the phone, or really, any work at all? …and that’s probably because it is. Over the course of this $2k a day review, I’m going to show you why you shouldn’t bother with it, and why it’s just another product that’s gone to long lengths just to get you to put money in their pockets. They even reassure you this isn’t the case. We don’t ever find out who the “owner” of this product is, so I can’t give his name. Let’s call him “Mr Thief”. Hey, he says his system works by stealing and piggybacking off other’s hard work, so I think it’s an acceptable nickname to give him. He claims that the real secret to making money online is never exposed. All the other Binary Options trading products are lies, as are most of the Internet Marketing guru products. Well he’s right there, but that’s about as far as it goes for him. What HIS product does is “tap into successful online businesses and share their revenue”. To me, that sounds kind of like hacking and theft. Maybe he’s just speaking figuratively and you’ll instead be just copying their system (also technically theft). It’s a complete guess here, because you never find out. When you first land on the website, you’ll be exposed to a refreshingly short video pitch. For once they don’t spend 20 minutes trying to hype you up (that happens later). At this stage, you’re told that you can earn $2,000 a day without doing much work. You’re also told that this product isn’t BS like the others, and that’s about it. You have to sign up to learn more so you enter your email address and away you go. For me this video was just classic smoke and mirrors. “It’s great..but I’m not going to tell you what it is”. It was also just a blatant attempt to get you interested enough to enter your email address and make a small commitment to continue. The Thief guy reassures you twice in quick succession that he doesn’t want any of your money. He reminds you that this product is absolutely free. I found this hard to believe, because the affiliate program for this product offers TWO payments, which means they’re going to be charging us at least twice, right? The next thing that follows is the marketing classic “If this isn’t for you, please leave”. This is a standard tactic of getting us to trust him more. He’s not trying to sell to everybody, so he’s clearly not a scammer right? It did make me laugh though. “If you already earn $100,000 a year and fly first class and like your job, you don’t need this product”. Now that you’ve started to trust him more, he launches into the pitch properly. This was when I started getting bored and the pitch started turning into the usual sales hype and jargon. This could be you! Look at these income screenshots! Bla Bla. All this time, you still have no idea what the product is. “Tapping into online successful businesses and sharing their revenues” doesn’t come close to explaining it. In fact, that sounds like BS. In the future he’ll be selling this as a $10,000 product, but before he does that, he needs testimonials. He needs us newbie beginners to succeed with it so he can prove to others later that it works. We’re doing him a favor and getting rich in the process! I’ll admit, it sounds amazing. No sales needed, no phone calls, no inventory, no payments, just a case of sitting back and earning money. Wohoo! This is where they get your money. It’s THEIR hosting package that they are selling to you, and let me tell you, it’s not cheap. You’ll be parting with close to a hundred dollars minimum for a hosting plan that will be nothing more special than you could get for $5 a month elsewhere. The automated website that they will build you to make your millions will be a piece of junk as well. I know he says it won’t be, but it will be. What he says is that you’ll be signing up with hosting, having his team install everything for you, and it will be top of the range amazing hosting. Well that’s nice, but you could get it for a fraction of the price elsewhere, and still have his team do it for you. If he NEEDS you to succeed so that he can get testimonials, then why doesn’t he let you do it on a cheaper plan? Because he wants your money. That’s why. You’ll never see this product released for $10,000 later on. You’re not testing anything. You ARE the product. If you don’t want to waste your money, I suggest you stay away from this product.